Looking for a place to sit outside and enjoy the sunshine while on vacation? Use this guide to determine which Ocean City restaurant, bar, and hangout is best for you. 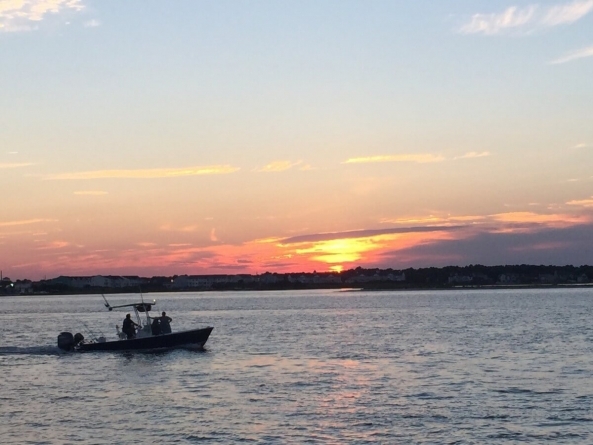 OC offers plenty of outdoor dining, and with so many waterfront restaurants, there are even tons of options where you can sail right up and dock your boat. Come by boat, by foot or by bike and spend your day sunbathing on an outdoor patio with fruity drinks and delicious apps by your side. Enjoy fresh seafood while overlooking the bay at Talbot Street in Ocean City! Indoor seating is available but deck seating seems to be preferred by those who choose the Angler, where you can look out to the bay and under the Route 50 bridge. Offering a variety of fresh fish and seafood, the Angler’s menu is simple and enjoyable. 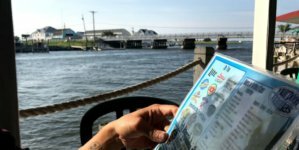 This restaurant even offers a scenic cruise of the Ocean City waterways on their boat of the same name after your dinner. The Angler experience makes me want to use words like “discovered” and “underrated” because the feel is so laid back. 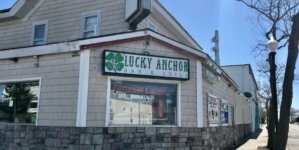 In reality, the iconic Ocean City bar is beyond being discovered by anyone. Most of us know where it is and what it is all about. Macky’s Bayside Bar and Grill is a popular place to hang out with friends and relax. Macky’s slogan is “Where life is good,” and it’s easy to understand why life is so good while you’re sitting on the sand at Macky’s eating great food, enjoying a drink and generally chilling out. Macky’s outdoor dining area seats 140 people. On the private bayside beach you can search for crabs, fish, other forms of sea life, and shells. Macky’s specializes in New Orleans, South Florida, Cajun and Eastern Shore seafood fare. One of the newer additions to the destination dining scene, The Ropewalk is great for kids and for couples. 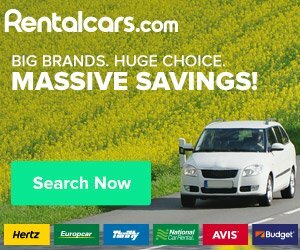 It’s also great for a night out as much as it is for a quick lunch. As you can read below, their Happy Hour is known for being one of the best in town. Everyone knows Seacrets! Seacrets has been Ocean City’s biggest nightclub hotspot for years. Indulge in the Caribbean atmosphere inspired by the island of Jamaica. Seacrets is known for both their Jamaican cuisine and American specialty dinners, and there’s enough outdoor seating at Seacrets for 323 people. Try the seasoned Jerk chicken and drink a Red Stripe beer, or their signature Tropicale brewed by Evolution Craft Brewing. Kids can enjoy the Jamaican pizza and a virgin daiquiri. From the tables on the water is a beautiful view of the sunset over the bay, and with over 200 palm trees, on-site you’ll feel like you’re really in the Caribbean. Get there early to avoid the wait! Seacrets was as quiet as it gets at 10 a.m. in the middle of winter. The renovations and maintenance mostly were complete but the bar had yet to be stocked. As far as I could tell I was the only one in the place. Fager’s Island is located at 60th Street in Ocean City. This little island that floats right off of Ocean City is one of OC’s finest restaurants. With an exquisite fine dining menu and plenty of outdoor seating, Fager’s will guarantee your satisfaction. Fager’s outdoor deck seats approximately 700 people. Their specialties include their raw bar, prime rib, fresh fish, roasted duck and lobster, in addition to lighter fare. Get there early to enjoy their early bird specials and daily happy hour drink prices, especially on Mondays in the summer (see below). Entertainment is always great at Fager’s! Look for a live band playing on their stage and a DJ playing on the patio. 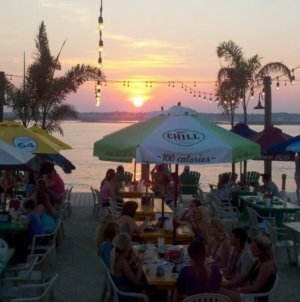 The sun always sets at Fager’s, so don’t miss it! I ♥ Mondays (at least, now I do) I’d never been to Fager’s Island before Monday night. I’d heard about it plenty from friends and co-workers — the food’s great, but the view of the sunset on the bay is spectacular, is what I’ve constantly heard everyone say — but for some reason it still took me this long to make my way down there. 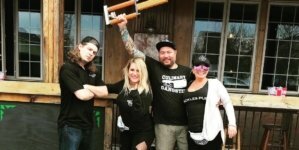 Looking for Eastern Shore cuisine at it’s finest? Go to BJ’s, an Ocean City tradition since 1979. Their homemade soups, salads, sandwiches and entrees will make you day, and the covered deck at BJ’s is the perfect setting for a daily Happy Hour Deck party. Live bands play every Wednesday during the summer on the deck at 9 p.m. Go to BJ’s on 75th Street and head towards the bay. Beach service at it’s best! Head to Coconut’s to enjoy their newly-renovated patio while having lunch, dinner, or just relaxing with a drink. Specialty items include seafood, crab cakes and grilled hamburgers. The kid’s menu is fantastic and there is usually some form of children’s entertainment during the day to keep the little ones busy. Live entertainment plays on the stage built into the sand. Happy hour is from 5 p.m. to 6 p.m. daily., and with 2-for-1 drink specials, it’s certainly the fastest hour at the beach. Food and beverage service is offered on the beach and at the pool. Coconut’s is located inside the Castle in the Sand Hotel on 37th Street and the Ocean. 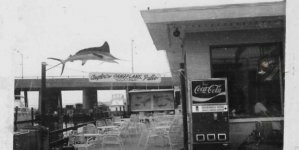 Fish Tales offers a great setting for enjoying the beautiful afternoons in Ocean City! There are many picnic tables outside on a man-made beach that overlooks the bay and the Bahia Marina. Watch the boats come in flying their fish flags and check out the catch of the day, or have a nice cold drink in one of Fish Tales’ several hanging swings. Want a good place to take your kids? Tales offers a huge pirate ship playground right next to the outdoor dining area, so you can keep your eye on them while you enjoy your meal. Fish Tales serves lunch, dinner, and drinks. A vacation must. Seriously — It seems like everyone has attempted the all-you-can-eat crab feast at Hooper’s while on vacation in Ocean City at least once. Located off Ocean Gateway in West Ocean City, this crab house accommodates all ages. Most prices range from $26 to $30 for crab meals, and all-you-can-eat specials include steamed crabs seasoned in Old Bay, steamed shrimp, fried clam strips, fried chicken, BBQ baby back ribs, corn on the cob, and hush puppies. Go on an adventure at Hooper’s with your whole family! Sail up to the outdoor tiki bar and spent a day lazing around at De Lazy Lizard — after all, that’s what vacations are meant for. Located on 1st Street bayside, the grown-ups can enjoy a drink at the Boathouse Open-Air Bar and enjoy a view of the water or revel in the air conditioning inside the Tiki House Indoor Dining, all while the kids let loose on the Little Lizards Playground. Be sure to come with an appetite! De Lazy Lizard has a ton of seafood entrees in addition to sandwiches and paninis, burgers, tacos and nachos, and an array of Lizard Snacks if you’re not so hungry. This is the perfect guide for me! I love trying new restaurants and my favorite thing to do is dine outside, especially on the bay. I have tried Seacrets, Fager’s, Macky’s, and Dead Freddies and so far I have had great experiences at each place. The food was delicious, the atmosphere was great, and the staff at each restaurant was really nice. I plan on trying the other restaurants listed in the guide so I can really determine my favorite place to eat outdoors….if that’s even possible. We’ve eaten at most of these places but none of them come close to the dinner we had at the Sunset Grille. Beautiful place and the meal was phenomenal! Definitely our favorite place to eat in Ocean City! !